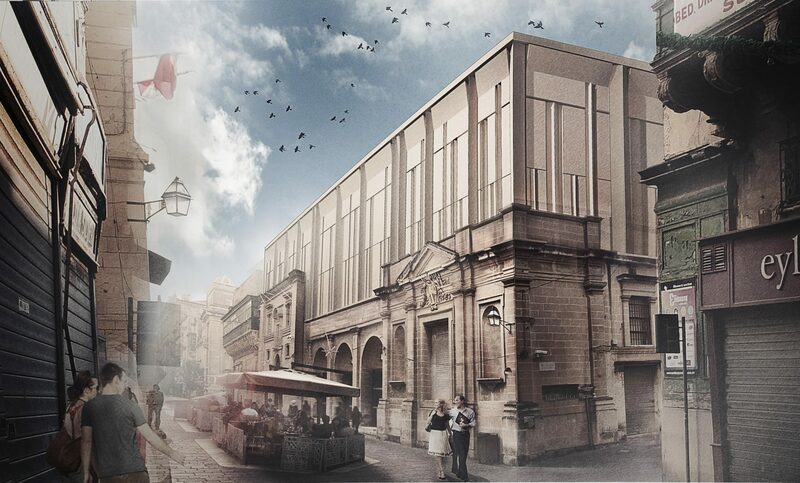 between 2016 and 2018 I was part of the design team at AP Valletta behind the refurbishment of St. John’s Co-Cathedral Museum in Valletta together with its extension, the Tapestry Hall, built exclusively to contain and display the set of 18th century tapestries donated, back then, to the foundation. the cathedral and annexed museum is Malta’s most visited monument, mostly known for the two paintings by Michelangelo Merisi da Caravaggio (1571-1610): ‘The Beheading of St John the Baptist‘ and ‘St Jerome Writing‘. not having any space for doors and/or windows in the Tapestry Hall due to spatial restrictions, a stone helical staircase was designed, shown in the images to ’emerge’ from the floor in the centre of the hall. after numerous spatial, historical and material studies, the project is currently (2019) under construction.